Landscaping and tree services can be the furthest thing from people’s minds during the winter months – especially if your outdoor space is covered with snow. However, you don’t have to wait for spring to take care of your lawn, trees or any other issues you may have in the outdoors. Ivan’s Tree Service offers a variety of services during the winter so you can maintain a beautiful and healthy outdoor space all year round. Winter work is better for your lawn. Tree trimming typically requires the use of heavy equipment and machines. This equipment can have negative effects on fresh sod, so working in the winter allows for almost zero disturbance of the area around where we work. Winter appointments offer more flexibility. Most people are surprised to learn that you can work on trees during the winter, and in most cases you can! We usually have quick turnaround for appointments made during the colder months so be sure to take advantage this winter and get in your tree maintenance early so you’re ready for spring and summer! For some trees, winter pruning is better. Off-season pruning can actually be beneficial for trees that can handle it in the winter. The trees not only look better when pruned in the winter, but the plants can recover more quickly and you will have a full tree to look at in the spring rather than a bare stump. 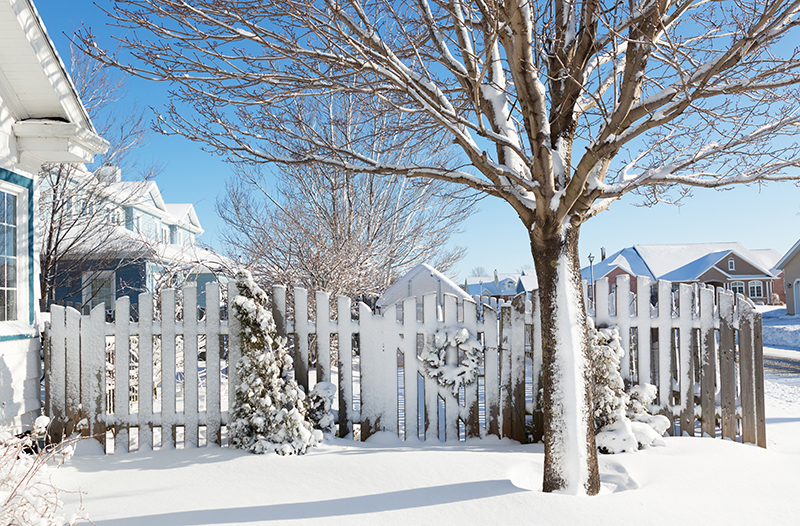 Heavy snow can cause property damage. Ivan’s offers snow removal services in addition to our normal tree services. Keep us in mind when a large storm comes in and we can remove your snow and work on your trees at the same time. Hidden tree stumps create safety hazards. That’s correct! You don’t have to wait to get your stumps grinded down in June. Ivan’s offers this service year-round. Avoid unnecessary snowmobile or sledding accidents and get unsightly stumps gone before the snow melts and they become an eyesore in your lawn. Ivan’s is committed to giving great service to our customers throughout the year. If you would like more information, or even more reasons to book services for your trees or outdoor space while it’s freezing outside, contact us today!